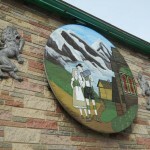 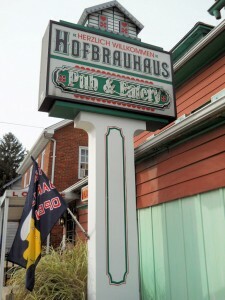 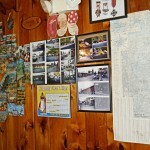 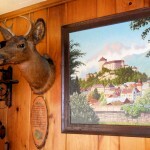 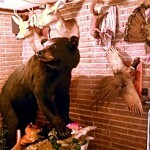 Home » Diners/Restaurants » Hofbrauhaus – A German Delight! 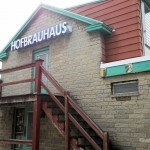 Hofbrauhaus – A German Delight! I have been to the Hofbrauhaus in Abbottstown, Pennsylvania several times … and I had the pleasure of visiting once again yesterday for lunch with friends. 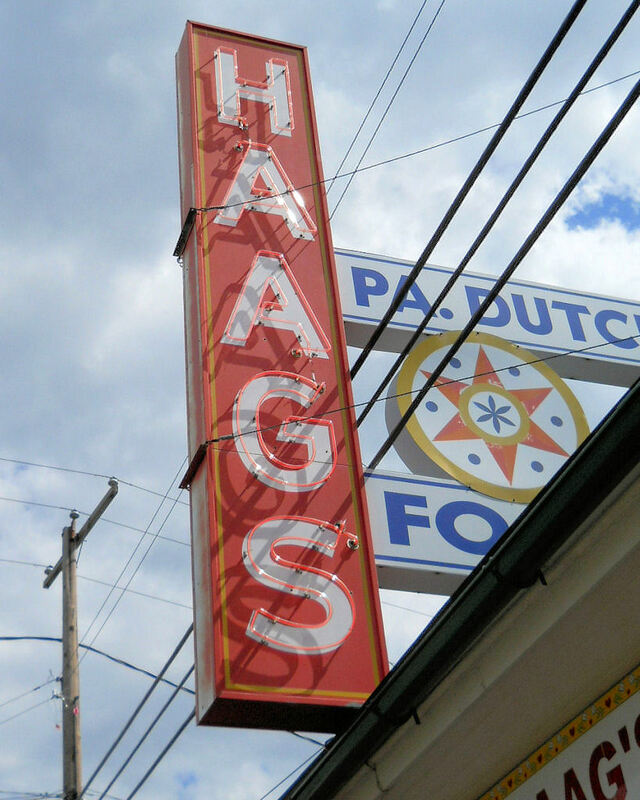 South Central Pennsylvania has an abundance of “Pennsylvania Dutch” (Amish-influenced cuisine); but there are few options for authentic Bavarian food. 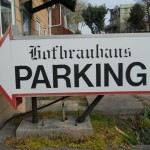 The Hofbrauhaus is one of them. 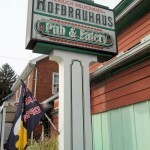 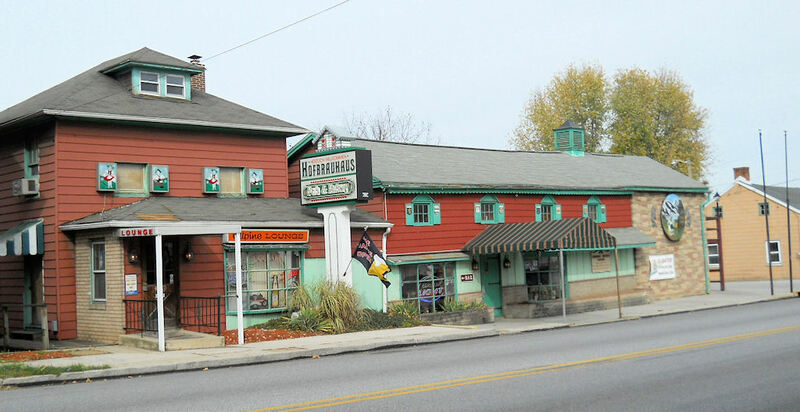 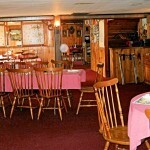 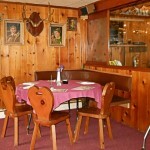 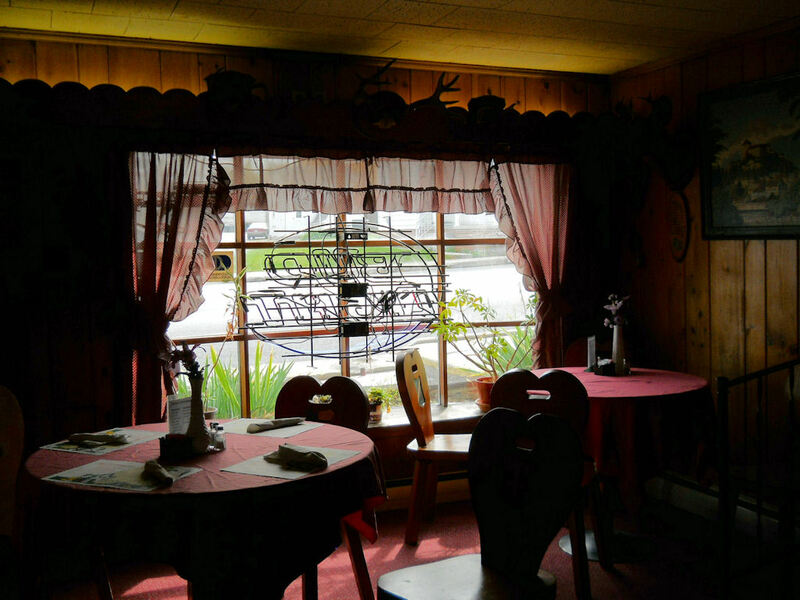 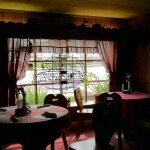 Their menu features an assortment of traditional German dishes and a large variety of beer and wine selections. 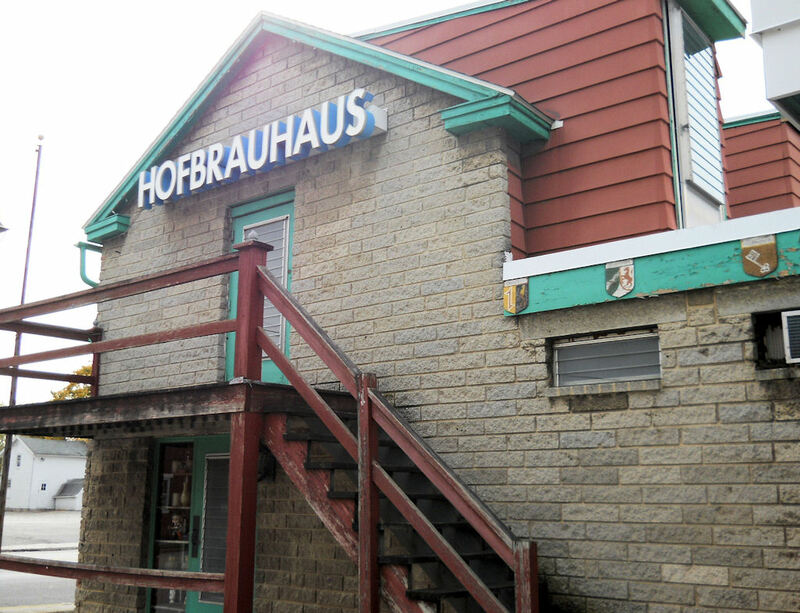 The Hofbrauhaus was established in 1958 — and the design and decor echoes that time period. 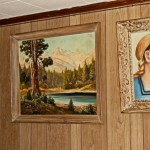 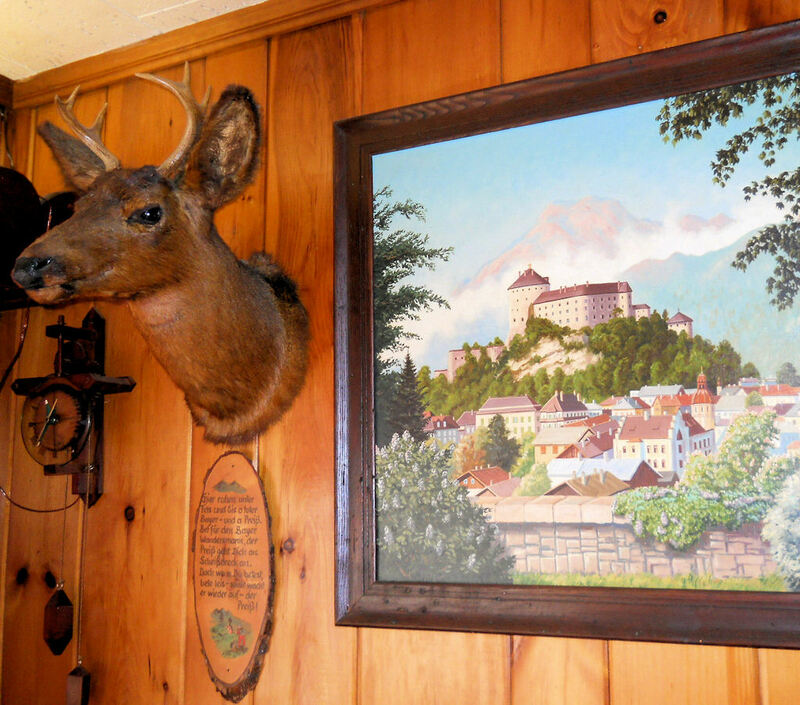 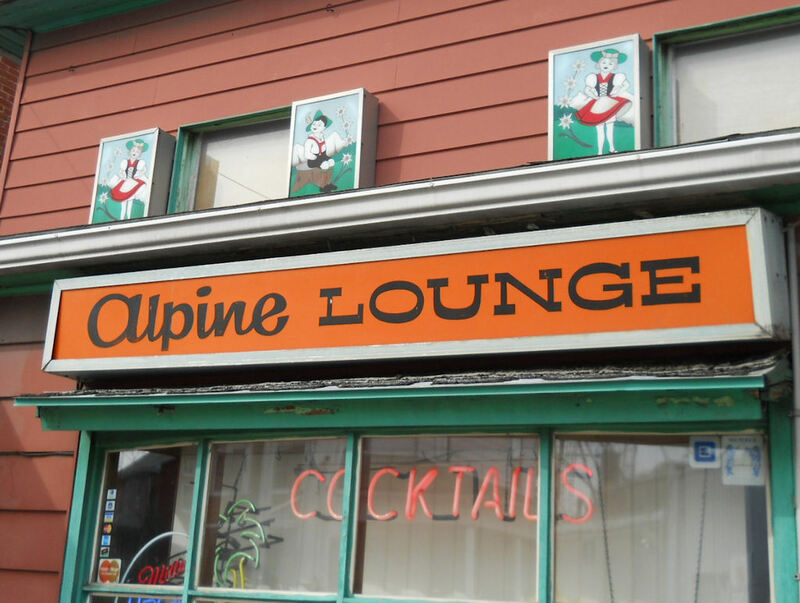 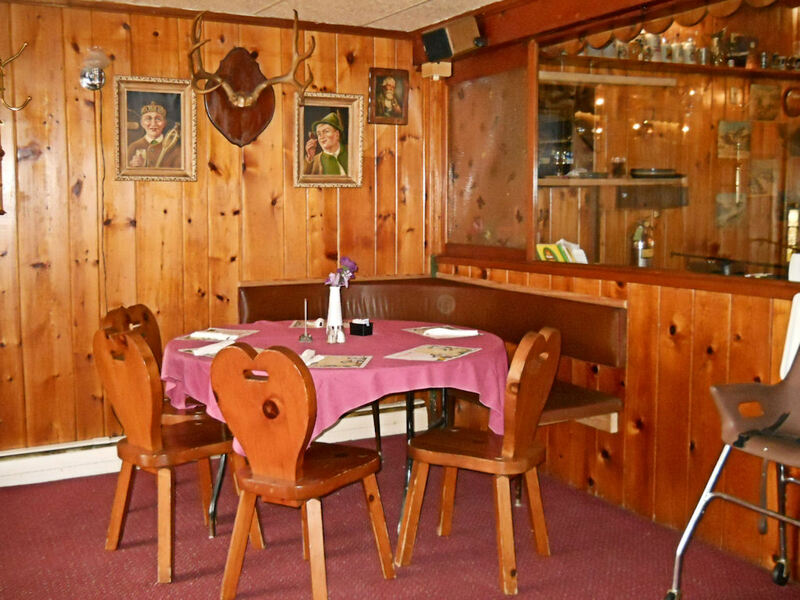 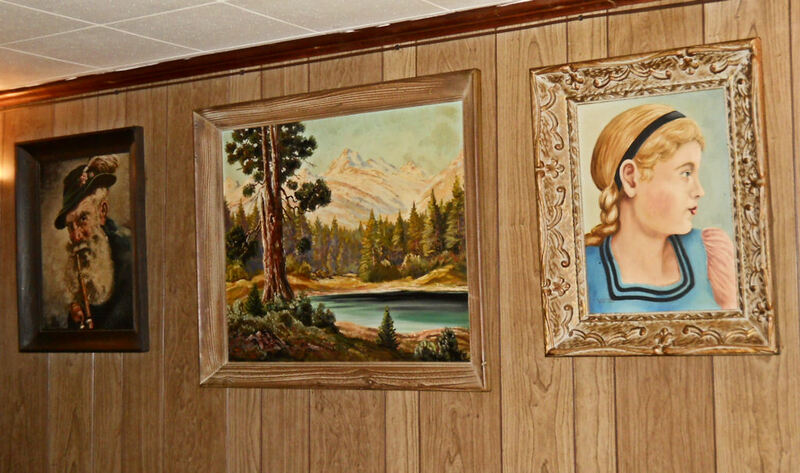 The age-mellowed paneling, along with German knickknacks, art, and furnishings almost make you feel like you’ve stepped through a time machine. 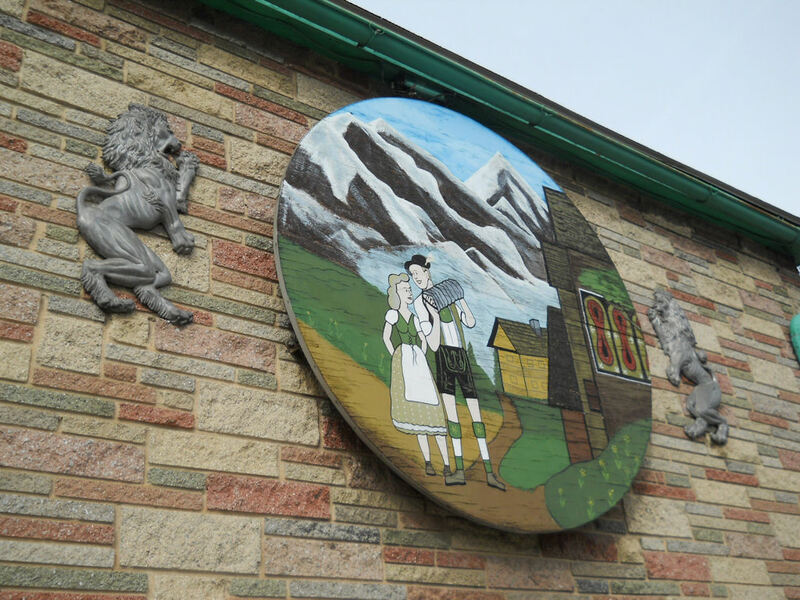 No boring muzak at the Hofbrauhaus – you’ll enjoy German music (at a tasteful volume) and the waitresses even wear traditional dirndl dresses! 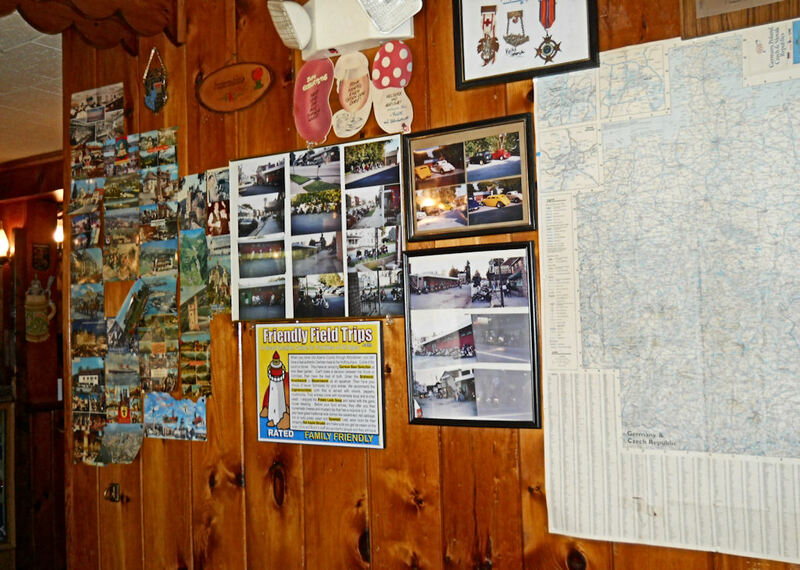 I didn’t have time to run into the lounge for additonal pics … I’ll add those after my next trip! 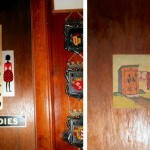 I love the restroom doors – part Mad Men/part Hee-Haw! 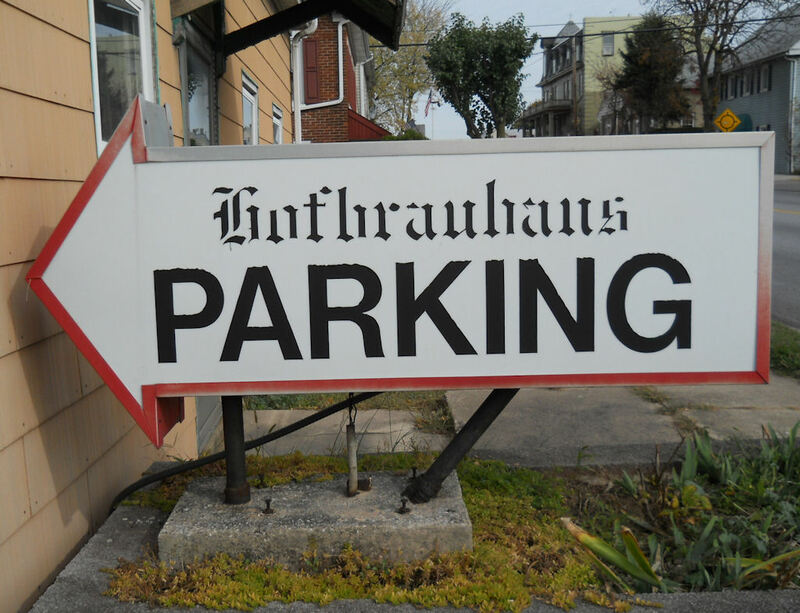 GAWD I have to go there! 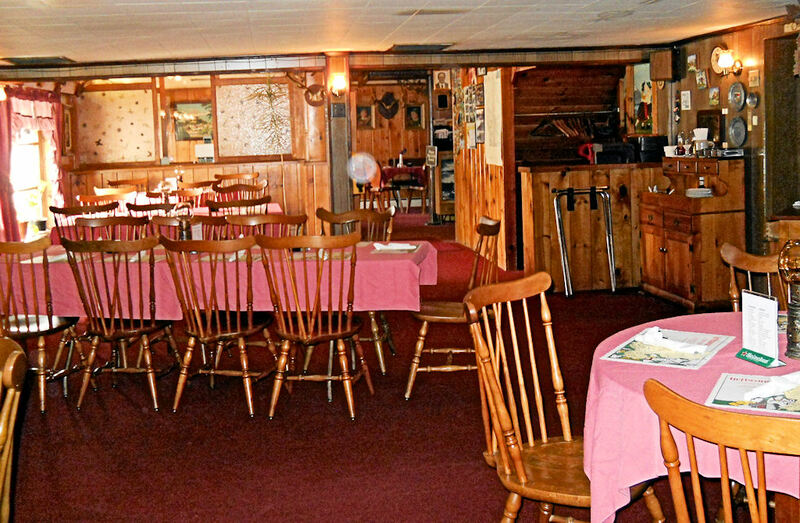 It is a great regret that I have not eaten at this restaurant yet, which is crazy given the fact that I’ve spent a combined 16+ years of my life living in York or Adams county. 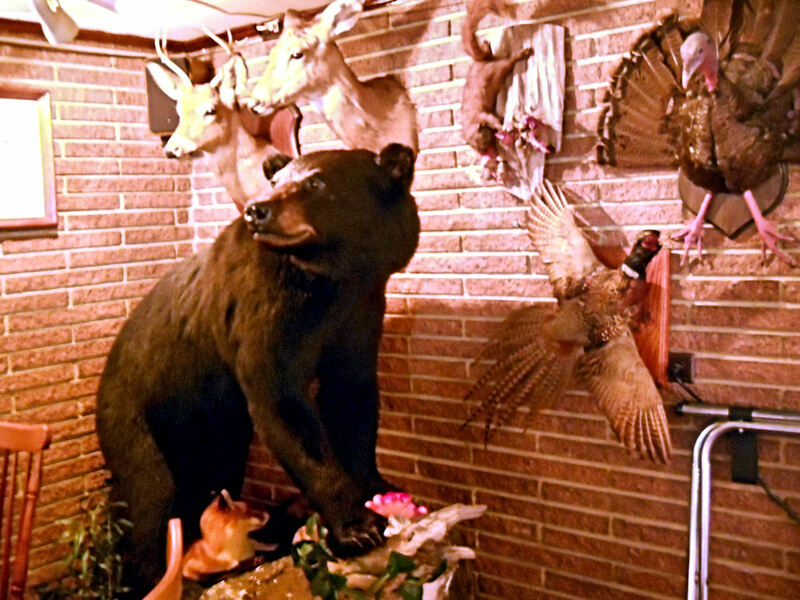 I think the problem is that while I love this kind of food, the rest of my family doesn’t. 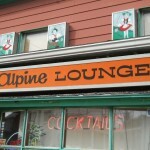 So I’m going to have to go it alone if I’m really keen on getting there.